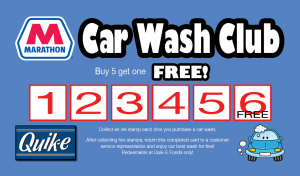 Why choose a LaserWash® touch free car wash? 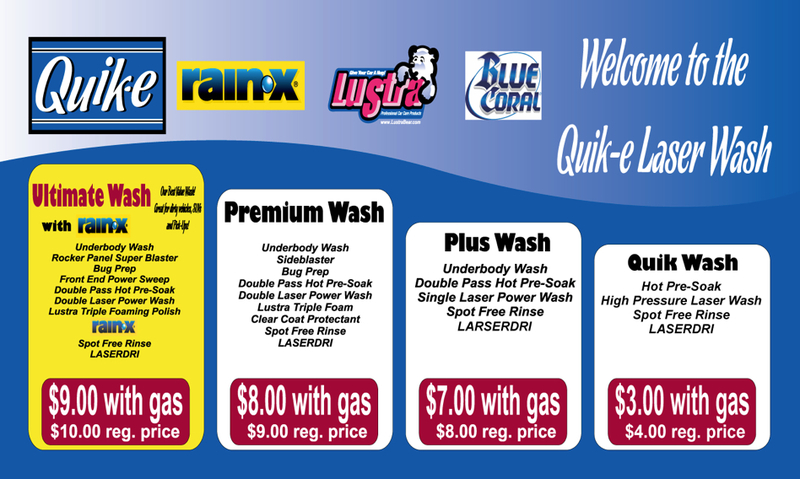 Not only can you get the best clean for your vehicle, 24 hours a day, 7 days a week, but the Quik-E Foods LaserWash® comes with all the most innovative features that combine to create a car wash experience that will make you come back over and over. Open Bay Wash makes it easier to pull your car in the car wash without worrying about damaging your tires and rims. It’s safe and comfortable! Touch Free – no abraisive brushes that can damage your vehicle. Front Bug Prep is an extra chemical that softens hard-to-remove bugs which makes the wash time faster and more effective. Environmentally Friendly! Our soaps and solutions are 100% bio-degradable. Integrated FlashDry® gets vehicles out with a spot-free dry in less than 5 minutes from start to finish. Max Air Dry delivers breakthrough dryer performance that dries vehicles better than any car wash, while using less energy. Underbody Wash & Turbo Blast cleans the undercarriage of vehicles more effectively than any other car wash system available. Clear Coat Protectant protects the paint from acid rain and UV rays to help keep cars cleaner, longer. RainX is applied with purchase of the Supreme wash.
Tri Color Polish adds shine and aids in the drying process. 4 Convenient Laser Locations to serve you! Quik-E Foods #9 in Rustburg, Va.
Quik-E Foods #10 in Madison Heights, Va.
Quik-E Foods #11 in Amherst, Va.
Quik-E Foods #12 on Wards Road in Lynchburg, Va.
Have a business? Need a FLEET plan! Call 434-385-5040 today and ask about our savings! 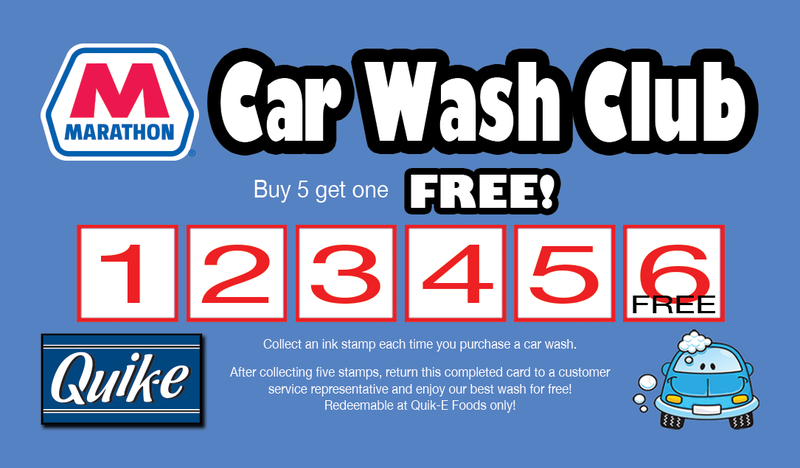 Join Our Car Wash Club – Stop by one of our locations to pick up your card!